Video : Altenew Artist Markers Set D Release Blog Hop & Giveaway! Today I share an easy way to combine alcohol markers and heat embossing to celebrate the release of the Artist Markers Set D from Altenew. If you are hopping along you should have arrived here from KELLY’s incredible Blog. I have two cards and a video to share with you, starting with this Stained Glass Window. One of the things that I love about the Artist Markers is that they have a ‘bullet’ tip and by using this I was able to add some simple dotty shading to my image. I popped it up in a Halftone Square die cut window surrounded by an embossed border using the Fine Frames Cover Die and a sentiment from the Thinking of You Stamp Set. Next I used the Beautiful Blossoms to stamp a partial background onto some Parchment cardstock. The images were coloured with the Artist Markers and then embossed, and you can watch the process in the video linked below. The sentiment is from the BAF: Ranunculus Stamp Set. Also I will randomly choose a winner from the comments left on this post (only one comment per person) to win a $30 gift certificate to the Altenew online store, you have until midnight February 12th (AEST) and I will announce the winner here on February 13th. Next > Video : How to Get Long Thin Stamps Straight in a Plaid! 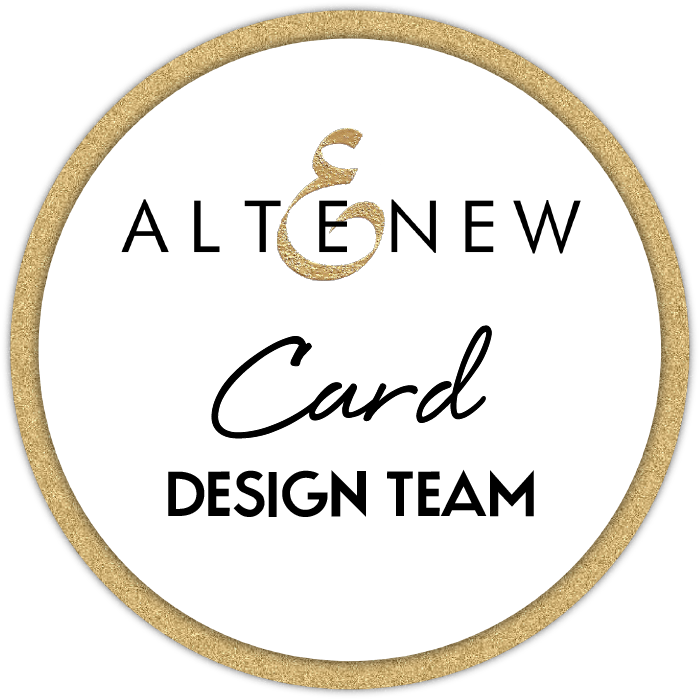 I love both of your cards and now I have added many new products to my Altenew wish list! Your cards are absolutely gorgeous! I love the beautiful blossoms image on kraft card stock. These markers are definitely on my wish list and maybe, even this stamp! Beautifully crafted cards, love the blooms on the kraft, looks so elegant! Another beautiful example and technique for us today with some awesome Altenew goodies! thanks for the inspiration! Wow, these are just gorgeous. I so enjoy your creativity. Wowza!! I just love both of these cards. Love the background for your first card with the window and the gorgeous coloring and the second is just stunning! Great Colors you’ve chosen to share. Gorgeous cards. I love those coffee – ish colors! I didn’t realize how beautiful this stamp is until I saw your video. Also the browns on the kraft look great. Beautiful cards, love the soft Brown flowers with the white embossing, really stunning and the dry embossed frames around the focal point of the pretty stained glass piece is eye catching design too. Oh Therese, love both cards, but the Stained Glass Window card as absolutely gorgeous. Love the precision. Beautiful card! I like your marker with embossing technique! Thank you for sharing! Both of your cards are gorgeous, Therese! Love the dry embossed frame around the image on the first card and the heat embossing over the colored images on the second. thanks for the video! Beautiful cards! I especially love the monochromatic card! Kraft and white is one of my favorite color combos!!! So very pretty. I love both of your cards but love,love,love the gray card. Thanks! 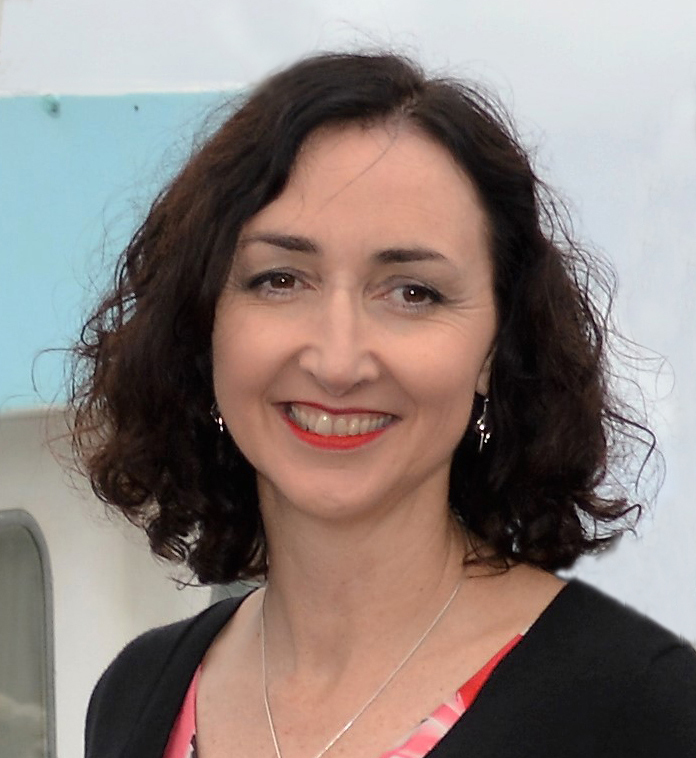 Love your work Therese, and can’t resist Altnew Products. This is gorgeous! I love the way you have combined these graphic shapes with the pretty color! It is a beautiful and unique look and I LOVE it! I always find really great inspiration from you! Gorgeous cards as always! The Altenew colors are amazing and love the ranunculus stamp by Altenew as well! Always love seeing what you make. That is a really good tip! Very pretty tone on tone look, too! Beautiful card! I look forward to trying this coloring technique! Love both – parchment tone on tone – stunning! Such gorgeous cards! Love the colors of the new markers. Both cards are beautiful. I’m really drawn to the one with the brown tones. Absolutely stunning! The second I saw your finished card I was sold! I am always drawn to the monochromatic style so your choice of browns on kraft was a home run for me. So so gorgeous. I’m also loving the strung out flowers too. A change from Altenews one flower and leaves basic design. But this stamp is more natural with stems and leaves spread out. Maybe we could all get used to the idea of making larger cards to use these larger absolutely stunning stamps. Wow, wow, wow! Love your cards. This card and your technique are wonderful. Really love the color choices! Have a nice day. Absolutely gorgeous! Love your combination of embossing with die and markers!!! Both of your cards are beautiful! Love the embossed frame and the stippled coloring on the first card. The colors and white embossing on the second card are so, so pretty. Thanks for sharing the great tips in your video too. I liked how you used the fine frames die set to emboss on the first card and the “brown” card is gorgeous! Thanks for sharing on the video! I’ll be back to watch the video later. Your cards are just amazing, Therese! The embossed frames & cut out on the first one are so clever–LOVE that card! Both are wonderful cards. Again, who would have thought brown on brown could be so lovely??? I do love the stained glass piece – that textured gray framing is very elegant, and gives a very nice contrast to the soft flower centerpiece. Thanks for sharing your talents . The cards are amazing!! I may have to own that frame you used on the first card. Your second card is just gorgeous! I love cards on kraft cs and your white embossing really sets the flowers off. Thank you! You are one of my favorite crafty bloggers. These two cards are beautiful and great technique for embossing with alcohol markers. I will definitely try that technique! Elegant! Stunning! Your cards are such inspirations. I love your cards but those brown florals are just amazing. I never would have thought to do that but the results are just stunning. TFS! Therese I just love your videos. I like your laugh and you make me laugh as well. Who doesn’t need that? You card is stunning as always. Thanks for sharing you talent!! Wow.. I. Liked every single detail on your first card.. The different shapes and elements gives this card an extra wow look.. A great brilliant idea for using them all to create a pretty simple card.. Love the earthy lokk in your second card as well. Another set of beautiful cards and a great video showing how to replicate what you did. Thanks for the inspiration! I am eager to try heat embossing AFTER coloring, as you did. The effect is lovely. Your first card is gorgeously laid-out. So very pretty. Thanks for the video and tips. Love both of the cards today! I’m glad that you did so much detailed colouring on the second card before you heat embossed. It was stunning! Gorgeous cards Therese, I wouldn’t have thought to colour the flowers brown! They look stunning! Your cards are absolutely gorgeous!! I love the brown ink tones on the Kraft cardstock, and the addition of white heat embossing. Thank you for sharing your process on video. Also love the stippling on your Stained Glass Window card. Gorgeous cards, as always. I love the kraft cardstock. Your unique ideas always inspire me. Great cards! I love it when people do more than one. I love the technique of coloring the image then restamping and heat embossing. Very neat idea! As always your cards are just beautiful in their simplicity, love your style! Both cards are just lovely-hope you don’t expect us to choose a favorite! Beautiful cards! I really love your brown/tan one! Great sentiment and design! Absolutely love the background of the first card, really creative! Wonderful job! Thanks for sharing! Such gorgeous colors! Love your cards Therese, they are very elegant, all the embossing is fantastic! !Thanks for the inspiration and the video, it is always appreciated! The colours of these markers are divine! I love the colour behind the embossing and the window card, how clever. Thank you for sharing Therese! I had always assumed I couldn’t use alcohol markers on an embossed image. Thank you for pointing out the way to do it! The brown on kraft with white embossing is lovely. The Grey embossed fine frames on the other card looks amazing. Enjoyed your video as usual and the cards are beautiful x. Unique Beautiful cards/colors! These markers sets are jewels just like the flower sets! Love the card with the little stained glass flowers. The card in neutral tones is gorgeous! Your cards are truly beautiful. Thank you for a wonderful video as well. Again a lovely card, easy enough to make. The colours look great with the white embossing powder on it. Inspired me to give it a go. Thanks so much Di, I’ve updated the link. You’re the BEST! WOW! I love both of your cards, especially the one on kraft cardstock! That is absolutely gorgeous and so easy to do! Thanks for the great inspiration! Therese, both of your cards are amazing, but my favorite is that first one! I so love that background with that beautifully colored flower in the center!! Thanks for making a video showing us how you made the second card! Love your card so much ! I’m intrigued by Altenew’s alcohol markers but don’t have any just yet . Absolutely love your cards, especially the one done on parchment card stock. Always enjoy your videos. These are SOOOO SWEET! I love the new colors! I absolutely love every card you make. This card is stunning. I even loved it before you embossed it. I want to thank you for sharing your time and talent with us. Hi Therese, love your videos, great cos from Oz but also love your style too, showcase, these magnificent altenew products so well, don’t own any yet 😆 but still enjoy your skill. Such different but equally beautiful cards. Love them both for different reasons. The Kraft one in particular is so elegant. The new artist markers look great. As usual the video was amazing and fun. Gorgeous cards Therese. Thankyou for your process video, loved it! What a gorgeous pair of cards and I really appreciate seeing you use the markers – it really helps to see them in action. Love both cards! You are so creative😀 and I love learning from you! Gorgeous cards, Therese! I had looked at the large flower set and thought how much detail there was. Great way to overcome this issue! Love the simplicity of the first cars with the dotty colouring! Perfect projects to showcase the new colour markers! Thanks so much for sharing the hints and your great inspiration! Two beautiful cards Therese! Thank you for the video showing the more monochromatic card. A new way to use my stamping platform. Would love to see how you created the stained glass one, maybe in a future video? Thanks for sharing your creativity with us. Both cards are wonderful, Therese! I love the contrast with the brights and grey, and those warm coffee colors on kraft! Fantastic video on heat embossing with alcohol markers! Such gorgeous cards Therese. I love all of your tips and techniques. Thank you for your inspiration, it is greatly appreciated. Your cards are always so beautiful Therese! Love the colors on this one. The first card is a show stopper! THis must be one of my favourite cards from this whole stop! Just wow! Really love that second card. So simple but so so lovely! The first card is lovely. The innovative way you’ve embossed with all those frame dies at once give it an elegance, especially on the dark grey cardstock. The second card is right up my alley! Love it to bits. The elegance of it is outstanding, brown tones on kraft cardstock with white embossing. That was such a good video & thanks for the tip about alcohol inks & heat embossing. I didn’t know that. I have a few a.i. markers, but haven’t used them as they intimidate me. Amazing cards! Love the colors of the stained glass card and the kraft card is absolutely stunning! I am so in love with the Stained Glass Window stamp set! I just adore how you colored it as well as how you used the lovely textured grey to offset the colorful image!!! Fun video as always. Your beautiful colouring still did show through partly, stunning result. I’m also adoring the pretty soft shades of your other card & that excellent frame. Thank you for inspiring me today. Wonderful cards. Especially love the parchment. Thanks for the video. Wasn’t so sure I was going to like the brown flowers, once you added the white embossing powder? Voila! Instant amazement! And they look so great against the kraft! Like that you kept it simple! Thanks for another wonderful video! I really love the brown flowers with the contrasting white embossing. I have been wanting to try their markers for the longest time. Both your cards are fabulous! I love the stained glass window one and the muted elegance of the second is fantastic. Your card is stunning! Beautiful workl. Wow, stunning cards! Love your color choices and the impressed frame is fabulous! wonderful cards, as usual – especially love the white embossed card – am going to give that technique a go! Love the inspiration cards. The frames look beautiful in the first card and I like stained glass effect. The second looks so classy. I really love the new set of markers. The brown shades are very exciting. I learned so many tips from your blog and from the video! I didn’t know that embossing hurt the nibs of our markers, so I’m grateful for that tip. And using the Misti for embossing afterwards is brilliant! Love both cards! Using the attached dies for dry embossing is an excellent touch, too! Thank you for your great designs, Therese! Beautiful cards, as usual. I have had problems with alcohol markers and embossing and I thought it would not be something I’d be doing after that. But, D’Oh!, I never thought of doing it this way! It’s like a light bulb moment!!! Thanks for you’re great videos, I always learn something!!! I love both of your cards! The first card is so sophisticated looking. I love the framed look and the stippling on the flowers. Your second card is absolutely beautiful! I am new to making cards and didn’t even know I could heat emboss after coloring. Stunning! These are so pretty! I really like the embossed paper in that first card. It looks really cool. Your second card had lovely flowers. I really liked it before you embossed it, but the white looks good too. Thanks for all your inspiration! Beautiful cards! I love the details and texture! That tonal brown card with white embossing was absolutely elegant! Both of your cards are lovely! The brown blooms look amazing on the kraft cardstock and the white embossing really brings out the details of the flowers. I always enjoy your tutorials! Beautiful cards! I love the multiple frames of the first one and the beautiful colors of the second. Lots of inspiration here, thank you. Therese, as always you did a beautiful job on your cards. I love the teo tone sentiment on the second card. These are so beautiful, Therese! The first card is unbelievably stunning! Wow! Amazing creations! The flowers on kraft with white embossing are stunning, Therese, and that gray frame. What can I say? I just bought it so I can do the same. I’m partial to those brown markers on that parchment paper. Just beautiful! Also really like the dry embossing on the 1st card. luuuv how you framed the stained glass design! the white embossing works so beautifully on the second card!! Beautiful cards! I love both designs! Gorgeous. I’m sure I have said before I need to use kraft cardstock more! love that one. Very beautiful cards! Love the frame in the first card and the second is so amazing. I love it’s simplicity. Thanks for the inspiration and the video! Beautiful cards! I just love tis new release. the colors are magical and so are your cards! Love both cards…the first card because of the diamond frame and the 2nd card with the designs on Kraft colored paper…simple, yet striking!!! I am behind on my videos but I sure hope that there is one of you doing the monochromatic one on the youTube! These are so spectacular with the framing of the first card and the various sepia tones in the second! Great work, just like always! I love this set of markers. The colors are beautiful. Great job.